Each month, I publish reports on ten to fifteen publicly traded upstream oil & gas companies. Part of each report is my estimation of what the company would sell for in a negotiated transaction. I’ve been doing this for almost twenty years and during that time there have been several oil price cycles. The one that started in mid-2014 includes one of the most severe declines in crude oil prices in the last century. It has lasted much longer than the average cycle, which is about two years. • Oil price cycles tend to overshoot on both the upside and the downside. 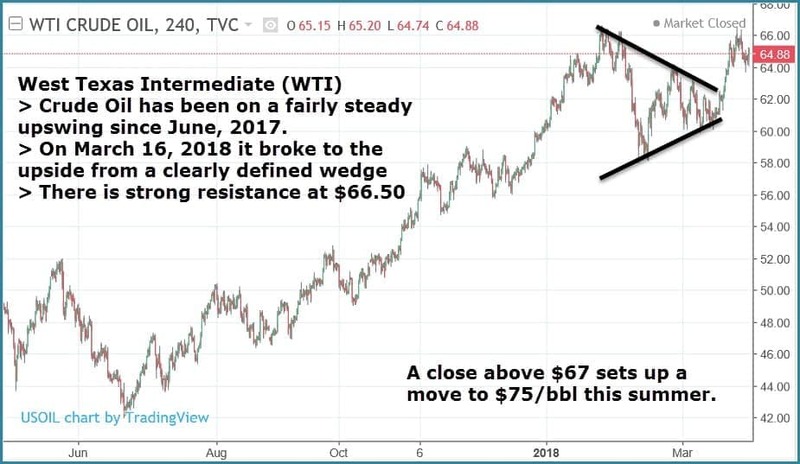 The price of oil never stays at the “Right Price” for very long because a small over-supply can push the price quite low and a small under-supply can cause a big price spike. During the early months of this cycle, crude oil prices dropped below $30/bbl. • Once oil supply & demand get out of balance, there is no quick fix. This is an extremely capital intense business and it takes years to set up funding and mobilize the resources for major upstream projects. • Since the Arab Oil Embargo in 1974 there has not been a prolonged period of stable oil prices and I doubt there ever will be again. We are in the 9th inning of this cycle and we are warming up for the next “boom” period of higher oil prices. • The end of a down cycle is marked by an increase in M&A activity. I think we saw the first of several big mergers announced on March 28, 2018. Let’s take a look at where we are on the price of crude oil first. Then I will look at the $9.5 Billion merger of Concho Resources (CXO) and RSP Permian (RSPP). I will try to explain how Concho arrived at the offer price and why the deal makes sense for both companies. 90% of humans live in the Northern Hemisphere and more of them drive cars, trucks and SUVs each year. Demand for oil is seasonal and April is the beginning of a big increase in global demand. The summer driving season is becoming more and more the “High Season” for oil demand. Fewer homes burn oil for space heating each year and there are more SUVs on the road each year. China and India are the primary sources of rising global demand for oil. Refiners do most of their annual maintenance projects in February and early March, so they can ramp up production of transportation fuels in the second quarter. Summer blends of gasoline also require more crude oil. At the end of December, 2017 U.S. refinery utilization was up to 96.7%. In February, 2018 the utilization rate dipped below 88%, but it is now ramping back up. In last week’s EIA report the U.S. refinery utilization rate was 92.3% for the week ending March 23. By mid-April, the refinery utilization rate must be over 95% if summer demand for transportation fuels is to be met. All of the major U.S. hydrocarbon liquids inventories are at historically low levels. The U.S. and all of the OECD countries, whose economies depend heavily on these commodities, should have at least 30 days of supply. EIA reported the following levels of liquid inventories in the U.S. as of March 23, 2018. All of them are lower than the previous week. Refined products inventories have been low since Hurricane Harvey shut down more than 30 percent of U.S. refining capacity for over two months. The U.S. has struggled to get back to 30 days of supply for most of these critical refined products. The world’s largest economy is heading into the peak period of demand for transportation fuels with very little cushion. Last year, global demand for products made primarily from oil increased by 2.3 million barrels per day from the first to the second quarter. A similar spike in demand is expected this year. In their March “Oil Market Report”, IEA said that global demand for oil will exceed supply within sixty days. BIG NUMBERS: Here is where I need to remind you that we live in a world that will soon be consuming over 100 million barrels per day of oil based products. The “surplus” of 50 million barrels is just twelve hours of supply. • Petrobras, Brazil’s No. 1 oil producer announced that February liquids production was 2,080,000 barrels per day, down 1.0% month-to-month, the fifth consecutive monthly decline. • Government data shows that Colombia's oil production in February was down 4.8% year-over-year amid intensified pipeline sabotage, with negative read-through for Ecopetrol. • According to media reports, production at the Kashagan Field, an offshore oil field in Kazakhstan’s zone of the Caspian Sea (Eni, Shell, Total, Exxon are among the partners) has fallen from 300,000 barrels per day to 180,000 barrels per day just since March 20. The field, discovered in 2000 that is located in the northern part of the Caspian Sea, is considered the world's largest discovery in the last 30 years. • On March 29: Ecopetrol warned of potentially ''drastic sanctions'' by Colombia's environment minister, following an oil spill in Santander province earlier this month. The point here is that when the global oil market tightens (as it clearly is), unplanned supply disruptions can have a significant impact on the price of oil. Everyone now knows that Venezuela is going over the cliff, but what if the supply growth from the U.S. shale plays is not quite as robust as EIA keeps telling us? What if President Trump rips up the previous administration’s Iranian Nuke Deal? What if there is a forest fire in Canada that shuts in production? “Stuff Happens” and it often happens when we least expect it. Conclusion: Oil price cycles tend to over-shoot the mark. 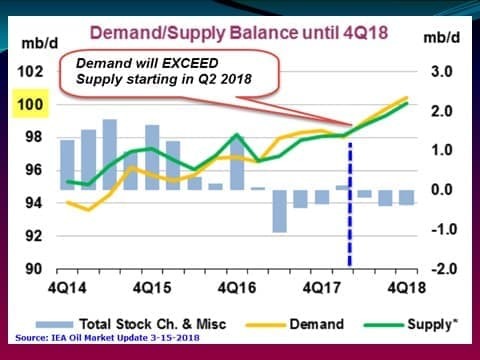 The “right price” for oil is probably around $70/bbl, but if there is any unplanned disruption in the supply chain it will go a lot higher in a hurry because for the rest of the year demand for oil will exceed supply. On March 28, 2018 Concho Resources Inc. (CXO) and RSP Permian, Inc. (RSPP) announced that they have entered into a definitive agreement under which Concho will acquire RSP in an all-stock transaction valued at approximately $9.5 billion, inclusive of RSP’s net debt. This is the largest upstream merger since the oil price decline began in June, 2014. I believe it marks the “official end” of this oil price cycle and will only be the first of several more significant transactions. Concho and RSP Permian are running a total of 27 drilling rigs in the Permian Basin, arguably the most important oil & gas resource play on this planet. In my opinion, the Permian Basin in West Texas and Southeast New Mexico is the most valuable real estate in the United States. Increased M&A activity marks the end of oil price cycles because the “Big Fish” take the opportunity (and they have the capital) to scoop up the “Little Fish”. 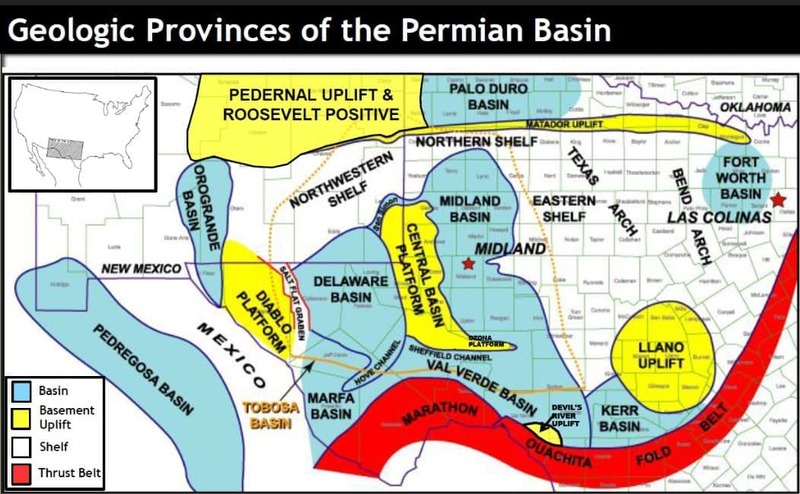 RSP Permian is not really a Little Fish, but it is a great fit for Concho. On March 3, 2018 I published a profile on RSP Permian with my estimated “Fair Value” of $52.00/share. Based on Concho’s share price the day before the merger was announced, they are buying it for approximately $49.00/share, so I think the RSP shareholders got it at a fair price. Plus, this is a tax free exchange into another company that has 30% to 40% upside if oil prices stay over $65/bbl. I’m sure that multiple reports will be published that say Concho overpaid for RSP, but we won’t really know for several more years. Most of RSP’s leasehold fits in nicely with what Concho had and it gives them another 1,500 low-risk high-return horizontal drilling locations in the Permian Basin. Plus, RSP is currently producing approximately 47,000 barrels of crude oil, 11,000 barrels of NGLs and 54,000 Mcf of natural gas per day (67,000 BOE per day), which generate over $270 million per quarter gross revenues. Here is a list of the small and mid-cap companies that I follow closely along with my “Fair Value Estimate” for each of them. This does not mean any of them will be acquired and some of them may be buyers. 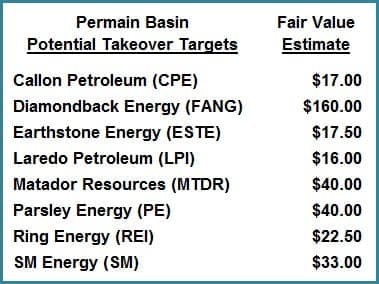 I will say that the companies with large blocks of contiguous leasehold, most of which is held by production, are the most attractive takeover targets. I list them in alphabetical order, without any indication as to which ones I believe have the best chance of being acquired. Frankly, no one really knows, but I’m sure that most of these companies are on the “radar screens” of large-caps with deep pockets. Remember that oil price cycles tend to overshoot the mark by a wide margin. This one is definitely headed in that direction. What will it take for oil stocks to catch up with the oil price? My stock holdings are worth less now than when oil was much cheaper! I see a new article every other day claiming "ANY TIME NOW" when the investors would become interested in the oil stocks again. Unfortunately, it has not happened! One point to keep in mind regarding Days of Supply of crude oil and product is that not all of it is usable, i.e., it takes a large volume of crude and product just to keep the system functioning. For the US, the Minimum Operating Level (MOL) for crude oil (actually Crude + Condensate, or C+C) is probably about 270 million barrels, and the MOL for gasoline is probably about 170 million barrels. Therefore, the US Days of Supply in excess of MOL for crude is probably about 10 days and for gasoline, about 7.6 days. Of course, this is also a factor in regard to global inventories of crude and product. 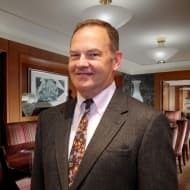 I agree with Dan Steffens’ analysis that oil prices are poised for a significant hike very shortly. Oil prices are currently buoyed by a robust global demand for oil projected to add some 1.7-2.0 million barrels a day (mbd) to global demand this year and in 2019 and also a virtually re-balanced market. I am projecting that oil prices will reach $70-$75 a barrel this year, rising to $80-$85 in 2019 and hitting $100 or even higher by 2020. Where I disagree with Mr Steffens is about saying that the right price is probably around $70. There is no right price for oil because oil is priceless. However, there is a fair price which I reckon should range from $100-$130 a barrel. Such a price is good for the global economy in that it enhances global investments worldwide and provides oil-producing nations with reasonable revenue thus enabling them to explore for oil and expand their production capacity to meet rising global demand projected to hit 114 mbd by 2025. It also enables major oil companies to balance their books and invest in new technologies and oil and gas projects worldwide. Why do the chart formations and writing on them look so much like those from "The World's Most Powerful Money Manual" by Ken Roberts? Seriously, the chart with the wedge formation took me back almost 20 years when I purchased the TWMPMM course to investing in commodities futures. With the anticipation for the demand for oil going much higher, comes increased drilling activity evidenced by the increase in drill counts, what about Frac Sand Companies ? It appears that most of their stock prices are very cheap right now all while everything else are heading north. For whatever reason I think the industry is being over looked and there are some great bargains out there from the larger plays like US Silica down to some of the recent start ups like Select Sands who's mine is in Arkansas 650 rail miles closer to the shale basins in Texas, Oklahoma, and Louisiana. JJB is right. There is a certain amount of any commodity that it takes to prime the system in order to be able to deliver however much of said commodity needs to be used on a day-to-day basis. People write/talk about the global or US oil inventories as if its all just "extra" oil that we really don't need. That it's so much over and above our daily need and therefore not worth what it's going for presently. They focus on daily domestic production which is like the tail wagging the dog. If people would ever sit and quietly reflect on the utter, virtually priceless (true that, Dr. Salameh), importance of oil to our basic human existence, they'd want to double the present inventories to make darn sure we never come close to running out of it. There are a ton of limiting factors of producing oil and getting production to market. In North Dakota the volume of Water just to Frac wells is crazy. the amount of Gas plants to keep flaring down to state goal of 15% and the pipelines can hardly keep up matched with the total lack of qualified work force. The weather also up here is a factor. last Thursday -2 degrees with -18 wind chill! Saturday 6 inches of snow in April!